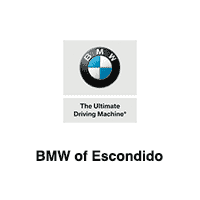 Welcome to the website of BMW of Escondido! We are a premier BMW dealership with an outstanding reputation, conveniently located in North County San Diego. We have proudly served customers from the Escondido, Vista, San Marcos, Murrieta, Carlsbad, Rancho Santa Fe, Encinitas, and San Diego areas for 33 years, so we know what a superlative customer experience is all about. Plus, we are proud to be the only family-owned and operated BMW dealership in the county: That’s why we’re knowledgeable about all things Southern California, from Mexican restaurants in Escondido to restaurants in Carlsbad. Put simply, we delight in serving Southern California luxury car enthusiasts. If you’re looking for a top-tier driving machine around San Marcos? Look no further than the inventory at BMW of Escondido. We are proud to offer plenty of new BMW luxury cars and SAVs for sale. At our dealership, you can learn more about our impressive lineup of new BMW cars, including the new BMW 3 Series, 4 Series, and 5 Series, and SAVs such as a new BMW X1, X3, X5, and more. You can even compare our top selling BMW models to the competition. Have trouble locating the best vehicle for you? Use our handy vehicle locator service. Once you’ve discovered which new BMW luxury car or SAV is best for your needs, browse our inventory of lease and finance deals and new vehicle specials to get a great price on an already-affordable BMW. Then, when you’re ready to lease or buy, take the drive from San Diego to our dealership in the Escondido Auto Park. If a new luxury car or SAV isn’t in the cards for your Poway lifestyle, don’t worry. We offer a wide variety of affordable used cars and SAVs. Plus, with our rotating inventory of certified pre-owned offers and pre-owned vehicle specials, drivers from Temecula to San Diego won’t have to spend an arm and a leg on their next German luxury car. Once you have purchased your new BMW luxury car or SAV, your next priority should be to keep it in perfect running condition. With routine maintenance and continual oil changes, your BMW can perform at its best. Our Carlsbad-area service center employs an experienced team of auto technicians who exclusively use genuine OEM parts, parts optimally engineered for your vehicle. So, if you see one of your warning lights illuminate, don’t worry – just contact our service department and rely on us. We’ll fix up your vehicle effectively and efficiently, so that you can get moving on San Diego roads in no time. Let’s face it: Car accidents happen everyday. At BMW of Escondido we are aware of this unfortunate reality. However, our collision center will fix up your BMW to like-new condition, so that you can get back on Poway or Temecula roads. Looking for a new roof rack, floor mats, or trailer hitch? Or are you just looking to add a little custom flair to your new BMW? We’ve got you covered.Our BMW parts center can locate, order, and acquire the right part or accessory you need. You can pick it up, or we can ship it directly to your San Diego home. Contact our parts department to get your favorite part. We know that Escondido drivers love great prices on great vehicles. Our BMW finance experts are here to make it easy for you to secure the X3 lease deal or X5 lease deal of your dreams. Our financing process is hassle-free and straightforward. And you can do much of the hard work online – just check out our payment calculator or our online financing application. We encourage all our friends and neighbors from Vista, Murrieta, Carlsbad, San Diego, and greater Southern California to stop in today to experience the BMW of Escondido difference. Once you’ve seen what we have to offer, felt the luxury and power of a new BMW car or SAV, and met our team of experienced and professional sales, service, and finance experts, you’ll know that you’ve made the right choice with BMW of Escondido. We are conveniently located at 1557 Auto Park Way in the Escondido Auto Park. If you have any questions, feel free to give us a call at (760) 745-3000. Of course, we understand that phone calls can be inconvenient, so feel free to contact us using this secure form.